Note:“Blue Letters”indicate True Parents words and the contents announced by FFWPU.“Brown letters”indicate the insistence of the Sanctuary Church supporters. 1. The ceremony, “The Coronation of God, the King of All Kings, with the Authority of His Liberation”, was not Hyung Jin Nim’s succession ceremony of the kingship. 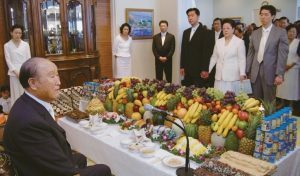 The Sanctuary Church supporters have been insisting that Hyung Nim’s family has succeeded “the kingship” of True Parents. The basis of their insistence is “The Coronation of God, the King of All Kings, with the Authority of His Liberation” which was held on three separate occasions on January 15 in Korea, and January 31, 2009, in Korea and the United States. They insist that it was Hyung Jin Nim’s succession ceremony of the kingship (See the photo). However, as the title of this ceremony clearly indicates that it was the coronation ceremony of God and True Parents by becoming one heart, one body, one mindset as the King of Kings. It was not Hyung Jin Nim’s succession ceremony of “the kingship”. So far, nobody has ever heard such a story that Hyung Jin Nim succeeded the kingship from True Parents and became “the king”. There is no such fact either. True Parents conducted the coronation ceremony for God as the king by becoming totally one with God. Centering on True parents who established the kingship, Hyung Jin Nim could attend the ceremony in the position of True Child in the four position foundation of True Family. Obviously, this was the coronation ceremony of “the Liberation of God” as the king of kings. And the principal actors were God and True Parents in this ceremony. It was not at all the transference or the succession ceremony of the “king’s position” to True children’s generation. Let us examine the program for the ceremony, the words of MC and “words” of True Father. There was no word which announced that “the kingship to be succeeded to Hyung Jin Nim”. Before starting the ceremony, True Father checked every single word of the MC’s words”, “the program for the ceremony” and True Father’s speech itself. They were carefully checked by True Father himself word for word. True Father precisely guided them to follow his instruction. True Father said: “the coronation of the True Parent, the king of kings on the horizontal level, who will govern all of creation as the physical representative of God, the king of kings on the vertical level” . We have to understand that that was the coronation ceremony of God and True Parents who are standing in the position of the embodiment of God. True Father was clearly speaking about the significance of this ceremony. Nevertheless, if somebody insists that this was the succession ceremony of the kingship of a True Child, then, it distorts the fact. And also it is totally false interpretation. As the photo indicates, the crowns of Hyung Jin Nim’s couple were at the most in the level of “coronet” of prince and “tiara” of princes. It was hard to say that it was the crown of “the king of kings”. Some people insist that the Blessing prayer of True Parents indicates “the succession of Kingship”. Nevertheless, this is also false interpretation. In Father’s Blessing prayer, you cannot find even a single word which says that “the kingship to be succeeded to Hyung Jin Nim”. The following contents are the quote from Today’s World magazine which describes “Father’s blessing prayers over Hyung jin nim and Yeon Ah Nim”. “On the occasion of the coronation that firmly establishes the realm of the Sabbath of the Cosmic Parent and the Parents of Heaven and Earth, we hereby bequeath True Parents’ blessing. Aju”. “Based on the authority of the unity between this couple and God who moves heaven and earth, may God’s unlimited blessing be with the advancement of their vic­tory. We bless you. Aju”. Now, True Parents are entering the hall to officiate the coronation ceremony of the King of Kings standing in the position as the embodiment of God. Following them, Hyung Jin Nim’s couple, International president of the FFWPU, is entering the hall. And ten grandchildren are following after them. The realm of three generations is entering the hall uniting into one. Telling the beginning of the new era of human history, in this amazing time, they are entering the hall for the Coronation for the Realm of Liberation for God, the King of Kings. As husband and wife (True Parents) are expressing the deepest gratitude to Heavenly Parents. Let us welcome them with warm acclamation. (True Parents have seated to the throne. And then, Hyung Jin Nim’s couple is kneeling down and offering bows). Hyung Jin Nim’s couple is bowing to Heavenly Parents and True Parents of Heaven, Earth and Humankind. (True Parents are bestowing the Pyeong Hwa Shin Gyeong). The king of peace, True Parents of Heaven, Earth and Humankind are bestowing “the Pyeong Hwa Shin Gyeong” to Hyung Jin Nim’s couple, the International president of the FFWPU, who represents all mankind. And then, True Parents offers the blessing prayer. (End of dictation translated from video). As can be seen in the series of events, when True Parents bestowed “the Pyeong Hwa Shin Gyeong” to all mankind, Hyung Jin Nim’s couple, as the representative of all mankind, was bestowed it and received the blessing prayer. However, it did not mean that Hyung Jin Nim became a king succeeding the kingship through that blessing prayer of True Parents. That blessing prayer of True Parents was for the bestowal of “the Pyeong Hwa Shin Gyeong” to all mankind. Father said in his blessing prayer, “we hereby bequeath True Parents’ blessing. Ajyu” . There was no content in this prayer which indicates the bestowal of the kingship to Hyung Jin Nim’s couple at all. In this connection, the official name of Cheon Il Guk (here after, CIG) is the Cosmic Nation of Peace and Unity. This is the Nation of Peace and Unity in the Cosmos (spirit world and physical world). And the center of CIG is God and True Parents, king of kings. Not only True Father but also True Mother will go to the spirit world someday. However, God and True Parents are the eternal center of the Heavenly Kingdom. Once, Hyung Jin Nim also said, “There will be only one set of True Parents forever”, “Even True children cannot become True Parents”. 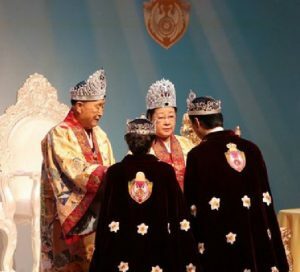 In the same year of the ceremony, “Coronation for the Realm of Liberation for God, the King of Kings”, on November 14, 2009, Hyung Jin Nim was asked by True Father to speak the following message to the Unification members, “If I (Hyung Jin Nim) deny True Parents, and do not follow them (True Parents), you (unificationists) must not follow me”. When we talk about True Parents, it does not mean only True Father but also True Mother. It means if Hyung Jin Nim denies True Mother, and does not follow her, we must not follow him. So far, Hyung Jin Nim has been denying True Mother, and not following her. It means we should not follow him. True Father asked Hyung Jin Nim particularly to talk about this with the unification community, with all the brothers and sisters. Probably, True Father could foresee the possibility of Hyung Jin Nim’s current situation. 2.The False Statements of those who say, “If you do not follow the new king, you will go to Hell”. As mentioned above, there is no fact that Hyung Jin Nim has succeeded the kingship. Therefore, Hyung Jin Nim has not become “a new king”. On January 17, (two days after the above ceremony), Hyung Jin Nim delivered a sermon in which he himself clearly denied his kingship. “What we want to be very clear, there is no new king, I said that from the very beginning when I was inaugurated as an international president, I said there is no new king, I’m not the new king, don’t even expect it, and don’t ask me to do it, I’m not it, so there is no king. What is very clear for us is that True Parents are the eternal kings, they’re the eternal center. Theologically that’s very important to maintain, and since I studied theology, it is very important theologically that there won’t be any future kings…True Parents are the eternal center. Theologically it’s very critical”. Nevertheless, the Sanctuary Church supporters insist, “Hyung Jin Nim has succeeded the kingship”, “Since then you should obey the new king”.” If not, you shall go to hell” . By saying so, they are frightening people and causing confusion. God and True Parents are the eternal center of CIG. The purpose of God and True Parents is neither to judge people nor bring them to hell. 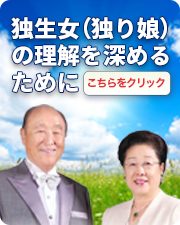 God and True parents want save all mankind without exception. Therefore, what Sanctuary Church supporter have been doing is contrary to the intention of True Parents who are desperately yearning to save all mankind. By the way, some of the Sanctuary Church supporters insist that Kook Jin Nim bestowed the kingship to Hyung Jin Nim. According to the Divine Principle, is it possible for Kook Jin Nim to bestow the kingship to Hyung Jin Nim? “Had they (Cain and Abel) unshackled themselves from Satan’s chains by fulfilling the indemnity condition to remove the fallen nature, then Adam, their father, also could have separated from Satan and stood upon the foundation of substance” . In the providence of restoration, Cain and Abel stand in the position as the representative of Adam. Centering on Abel who is standing in the position as the representative of Adam, Cain had to yield to Abel and unite with him. Only through this way, the indemnity condition had to be fulfilled. Providentially speaking, it has no meaning to unite with Abel who is not standing in the position as the representative of Adam. Now is the era of the realm in which True Parents are standing in the position of the first human ancestor. Winning the victory in the providence of restoration, True Parents are standing in the fixed point. True Father said, “The time of True Parents comes at one fixed point in history”. “The coming of the True Parents of humankind is the hope of history, the nation, and the providence. Therefore, the time of True Parents comes at one fixed point in history, a period of time that has never existed before and will never exist again. If we think in terms of the eternal world, our life on earth lasts about as long as the time it takes to take a breath”. True Parents comes at one fixed point in history, a period of time that has never existed before and will never exist again. That is the eternal center of the history. We should not forget about it. Under such situation, True children are standing in the position to inherit True Parents victorious realm. That is the very reason why the kingship has to be bestowed from God and True Parents. Indeed, in the restoration providence, the unity between Cain and Abel can become the indemnity condition to remove the fallen nature, but not “bestowal of the kingship”. At the most, it can only become the restoration of right of the elder son. According to True Father’s word, mother-son cooperation is indispensable for the unity between Cain and Able. On April 6, 2008, on the occasion of the 49th True Parents’ Day in Hawaii, True Father made True Children (Hyun Jin Nim and Kook Jin Nim) stand in front of him. the right of parents. True Parents have won the kingship based on those foundations. By the same token, if Hyung Jin Nim wished to stand in the position to get the kingship, prior to get it, he should have to stand in the position restoring the right of elder son and the right of parents. Let us ask him a question how he could restore those contents. Currently, what Hyung Jin Nim and Kook Jin Nim have been doing is in accordance with neither True Parents word nor the Divine Principle. True Father asked Hyung Jin particularly to talk about this with the community, with all the brothers and sisters that week. Hyung Jin Nim said, “If I deny True Parents, you unification family must not follow me”. We should be reminded of True Father’s instruction.